Farmed Atlantic salmon (Salmo salar) fillet portion, skinless & boneless, defrosted. 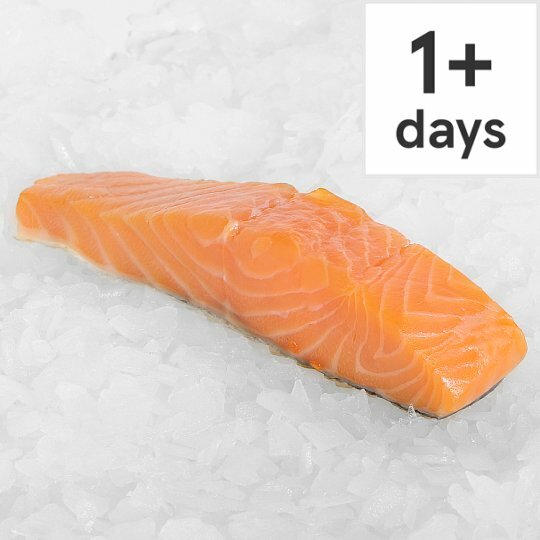 Salmon Fillets have succulent, pink, firm but flaky flesh, with a subtle and delicate flavour. Source of Omega 3. Responsibly sourcing our seafood is important to us, which is why Tesco fish experts work with responsibly managed farms and fisheries to continually improve their high standards of quality, welfare and sustainability.